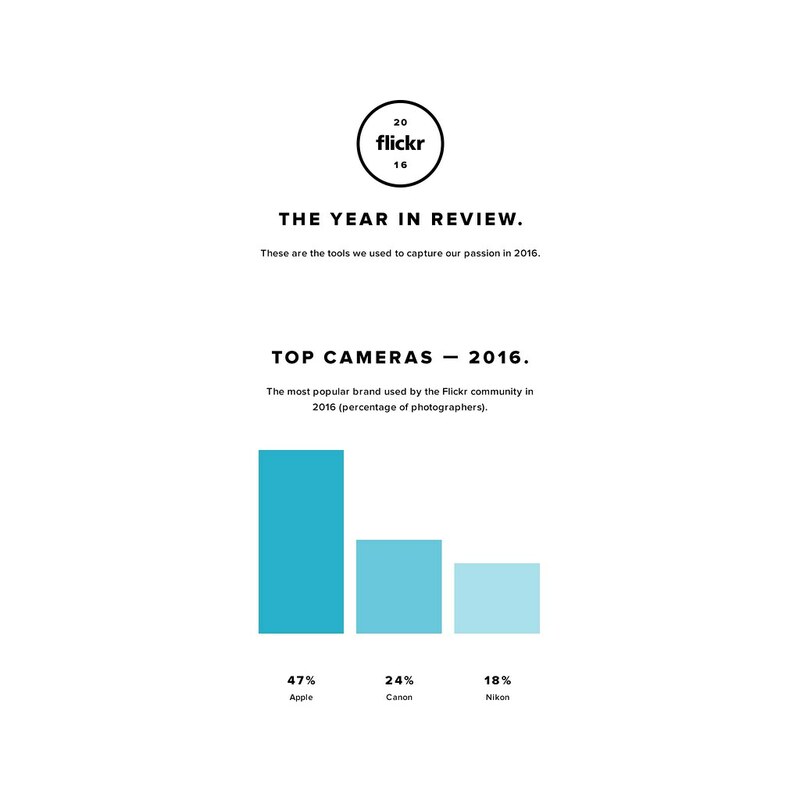 Just as we’ve done in previous years, as part of our year-end celebration of Flickr photography, we’ve taken a deeper look at the cameras and camera types used to upload to our platform. Smartphones accounted for 48% of the photos uploaded to Flickr, up from 39% last year. DSLR was 25%, down from 31% in 2015, and point and shoot was 21%, down from 25% in 2015. Mirrorless remained flat at 3% of photos uploaded in 2016. As for brands, Apple continued its dominance. 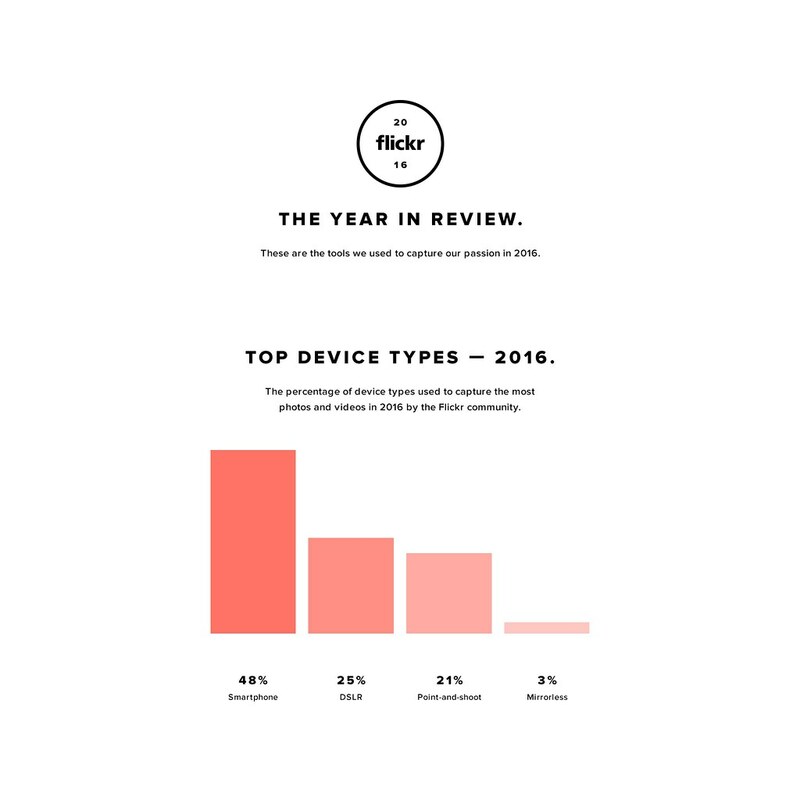 47% of all Flickr users used an Apple device to upload images to the platform. In fact, 8 of the top 10 devices were iPhones, with the 6, 5s, and 6s in the top three positions. Canon was the second largest brand used by the Flickr community, with 24% of users choosing the manufacturer. The Canon 5D Mark III and 5D Mark II were the only non-Apple cameras to break into the top-10. Nikon remained in third position with 18% of Flickr users. Of the billions of photos uploaded to Flickr in 2016, these are the top selections. World Wildlife Conservation Day is celebrated this year on December 4th to raise awareness of the devastating effects illegal poaching has on endangered wildlife.